Evelyn's Blog - Feb 10, 2018 - "THE DEBT"
I learned that people do not like to read fiction on blogs. A case was made for an author who only sold six copies of her short story on her blog, but when she sold it on Amazon for $2.99 it went like a crazy sale. Well, I had put up one of my short stories on my website for FREE, and interestingly only six people wrote to me about it (raved about it, by the way) . "Jewish young man and gentile young woman become engaged, then marry. The young man works for the United Nations. Will its ideals work for these two cultures confronting each other?" Please take a look at this short story "The Debt" on Amazon Kindle. http://www.amazon.com/dp/B079NT72Z8. It's even better now that I've edited it one more time. If it flies as a solo with enough sales, I'll put up more stories that are absolute pips! Please tell your friends to become my blog subscribers. Very easy to remember the address: EvelynMarshall.com. Edith Wharton's Ancestral Home "The Mount"
Edith Wharton is one of my favorite authors. She won the Pulitzer Prize for Literature with "The Age of Innocence". She wrote about the highest tiers of wealth and society, in which she lived, about their locked-in code of impeccable behavior, while beneath that code roared gossip and hypocrisy, immorality and corruption. Although published in 1920 and awarded the Pulitzer in 1921, the era depicted was the 1850's. It was her 12th novel. She came from the uppermost reaches of American wealth that she depicted. She married a man who proved unfaithful (and unbalanced) and remained married to him for 25 years. But she broke loose in her literature and in her subsequent life in Paris helping the WW1 war effort. 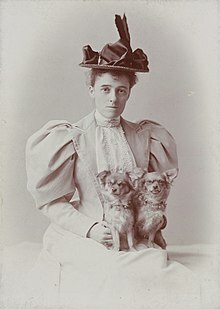 Edith Wharton was a critic of her social class who sacrificed the individual to unbending tradition. She writes with excruciating honesty and wit. The film is magnificently close to Edith Wharton’s novel. 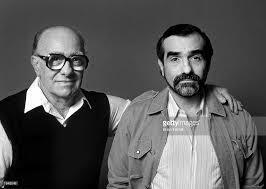 The surprise is the producer-director: Martin Scorsese, generally known for his gangster films. He made this masterpiece of a film in homage to his father. The film is a fastidiously elegant work of art visually, narratively, and in every other way. The actors did their part: Day-Lewis, Winona Ryder, and Michelle Pfeiffer, and all the character actors. The novel begins at an opera where the upper class is properly sitting in their boxes. “Boxes” is a metaphor for locked-in proper place for decorum and standards. There are two main women in the novel: the loving conformist wife May, Ryder) and his mistress Madame Olenska (Pfeiffer), the decadent woman who speaks to Newland Archer's artistic sensibilities. Archer is trapped between these two. His wife traps him and he falls back into the society of conformity and responsibility. Of Edith Wharton's novels, I also recommend, "House of Mirth", "Custom of the Country", and "Ethan Frome". Of her short stories, 'Roman Fever' stands out. But "An Age of Innocence" is her absolute finest work. Wharton's life changed when World War I began. She traveled extensively by motorcar through Europe, opening schools and hostels for refugees in northern France and Belgium. She also wrote reports for American publications, supporting American involvement in the war. After the war, Wharton only returned to the United States once in her lifetime (to accept her Pulitzer prize). Throughout her life, Wharton frequently held salon, hosting gatherings where the most gifted intellectuals of her time could share thoughts and discuss ideas. Teddy Roosevelt, F. Scott Fitzgerald, and Ernest Hemingway were all Wharton's guests at one time or another. Besides these salons, Wharton's friendship with Henry James had an immense influence on her work. Wharton continued writing voraciously until her death at age 75 in France. She is buried in the American Cemetery at Versailles. In this novel "The Age of Innocence", society travelled on giant ships for months at a time. They brought their trunks and pets, and were spoiled with constant dining sociability, indulgent room service, and daily town tours. Marv and I have traveled a great deal through the world. People think that travelers automatically have lots of material to write about. Not true. There’s no connection. Maybe some scenery, but not in terms of interesting plots. I say this because as with the wealthy set, such as in “The Age of Innocence," they returned home the same people as before they left. Only fatter. Let's say for a moment that your hometown is Oxnard or Bakersfield or Salinas, and you take the Grand Tour of Europe. Do you come home plot heavy? Or just try writing lots of description and see what you've got that others want to read. I think what you say is, "Home sweet home". Older PostEvelyn's Blog for February 3, 2018 - THE SELF-HATING JEW, PHILIP ROTH??? ?